Imagine visiting a seaside village in December and taking a plunge in the cool, blue water, riding on a boat and relaxing inside a cozy kitchen. 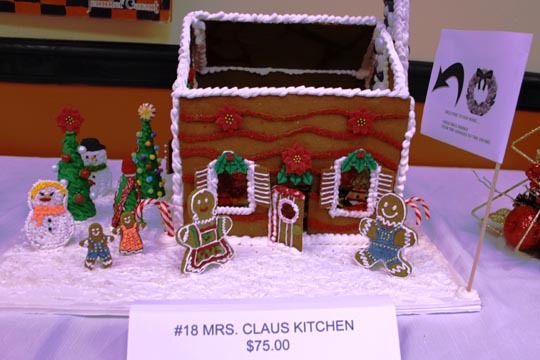 Tidewater Community College Culinary Arts students used tools that ranged from Kit Kat bars to jellybeans to pretzel sticks to create nautical-themed gingerbread houses for the holidays. The tasty town is part of their final exam for the Introduction to Baking course (HRI 128). The gingerbread creations were auctioned by Magnolia Circle of the King’s Daughters to benefit Children’s Hospital of The King’s Daughters.